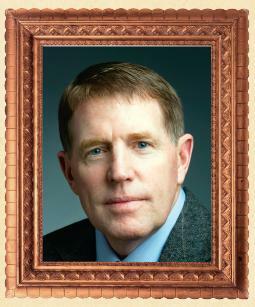 Mr. MacArevey has 30 years of leadership experience in the Defense, Government, and Energy industries. In his current role Mr. MacArevey is responsible for directing the strategic development of new government business opportunities for Navistar’s military division. Mr. MacArevey’s efforts have been instrumental to the successful award and execution of the MRAP (Mine Resistant Ambush Protected) vehicle program with the United States Government. This multibillion dollar program has been fast-tracked by the Department of Defense and fueled by the U.S. Congress to field protected vehicles in unprecedented rates to U.S. troops deployed in war zones. Navistar’s MRAP program is the flagship in a portfolio of military vehicle successes as the company has grown in four years from a limited military business to a robust business with annual revenue of over $1.5 Billion. Prior to joining Navistar, Mr. MacArevey served as the U.S. Senior Executive for Business Development for Singapore Technologies Engineering (ST Engineering) as this foreign commercial and defense firm sought to build a business in the United States. Mr. MacArevey led the Merger and Acquisition (M&A) activity as well as the Business Development programs. ST Engineering, through its subsidiary VT sytems, now has an annual U.S. revenue of over $1 Billion. Mr. MacArevey also served as a Senior Executive with an assortment of responsibilities in various geographies for Mobil Oil Corporation and ExxonMobil Corporation. In these roles, spanning ten years, Mr. MacArevey served in a Middle East refinery; as a strategic planner for U.S. Marketing and Refining; started up a South America Procurement Organization for Mobil; and managed Global Asset Operations for ExxonMobil’s Information Services. Mr. MacArevey is a graduate of the United States Military Academy (1978) and has served twelve years in the U.S. Army as both enlisted and officer. He is Ranger and Airborne qualified, served as a Company Commander in Germany and on the Department of the Army Staff. Vice President of Corporate Communications & Community Relations, McCormick & Company, Inc.
John McCormick is Vice President of Corporate Communications & Community Relations at McCormick & Company, Inc. He oversees company activities with regards to media relations, community relations, charitable giving, internal communications and special events. 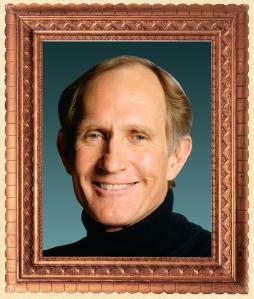 Mr. McCormick joined the Company in 1969 and served in its International Division in Australia. He then returned to the United States serving in numerous capacities within the United States Consumer Products Division. In 1996, he joined the corporate staff as Vice President-Americas Strategy and was later appointed to Vice President-Business Development, Asia/Pacific Group and Vice President-Latin American Consumer Businesses before being named to his current position in 2006. He is on the Board of Directors of the Baltimore Council of Foreign Affairs, Business Volunteers Unlimited Maryland, Maryland Business for Responsive Government, the Maryland Chamber of Commerce, the National Aquarium in Baltimore, the World Trade Center Institute, the United Way of Central Maryland as well as the Food Marketing Education Council and the International Wine and Food Society of Baltimore. He also serves on the President’s Advisory Council of Stevenson University. Mr. McCormick is a Baltimore native and graduated from McDonogh School in 1963. He earned a Bachelor of Science at the University of Richmond in 1967 and an MBA from American University in 1969. 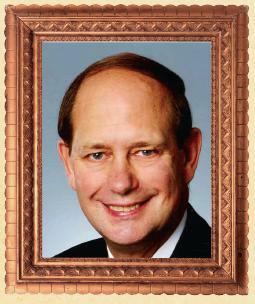 He is married to the former Wynne Williams of Ft. Lauderdale, Florida. They are the parents of two daughters and one son, and they have five grandchildren. Howard was born in New York City and moved to Baltimore while in elementary school. Howard graduated from the University of Michigan with a Bachelors degree in Electrical Engineering. He received a Masters of Engineering Science from Loyola College. He has worked with various Maryland companies in various fields— medical electronics, process control & data acquisition, video electronics, and defense electronics. In the evenings he was an adjunct professor for Loyola College in their Masters of Computer Engineering Program. Howard recalls the limited level of Jewish life and heritage that was available for out-of town students while attending the University of Michigan. About two years after he graduated, a Chabad House was founded on campus, which quickly became a center of Jewish life and tradition. One of Howard’s cousins who participated in the programs of the Chabad House is today actively involved in her Jewish community and is the proud Jewish mother of eleven children and grandchildren. Howard believes a Chabad House presence during his time on campus, would have enriched his Jewish experience, positively influencing his adult life. Shirley is the youngest child of Holocaust survivors. She was born and raised in Baltimore, earned a Bachelors degree in Early Childhood/Elementary Education from the University of Maryland, College Park. She taught kindergarten in Baltimore City as well as various grades for the Baltimore Board of Jewish Education. She obtained her Nursing Home Administration License and worked as an NHA for 15 years in the Baltimore metropolitan area. She also worked part-time as a Senior Program director for the Helene and Leslie Moses Institute for Lifelong Learning at the Baltimore Jewish Community Center. Shirley currently teaches Judaic Studies at Weinberg Park and is active in Jewish community organizations including the Greater Baltimore Chapter of Hadassah, Mercaz at Beth Tfiloh, and reading for preschoolers at Bnos Yisrael, she is also a Life Member of Hadassah and the National Council of Jewish Women. She was an officer and member of the Beth Tfiloh Community School PTA. Shirley and Howard are the proud parents of three sons and daughters-in-law and one granddaughter. They are active members of Kehilath Bnai Torah, Congregation Shomrei Emunah, and Baltimore-Havurah. 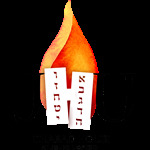 Their journey to Jewish observance was helped by their children, one of whom is now in kollel in Jerusalem, and is also currently studying in the evenings for his Masters in Computer Science through the Hopkins program. The Blumenfeld family greatly appreciates the enriched Judaic spiritual guidance which they have received from family and many in the Baltimore community. 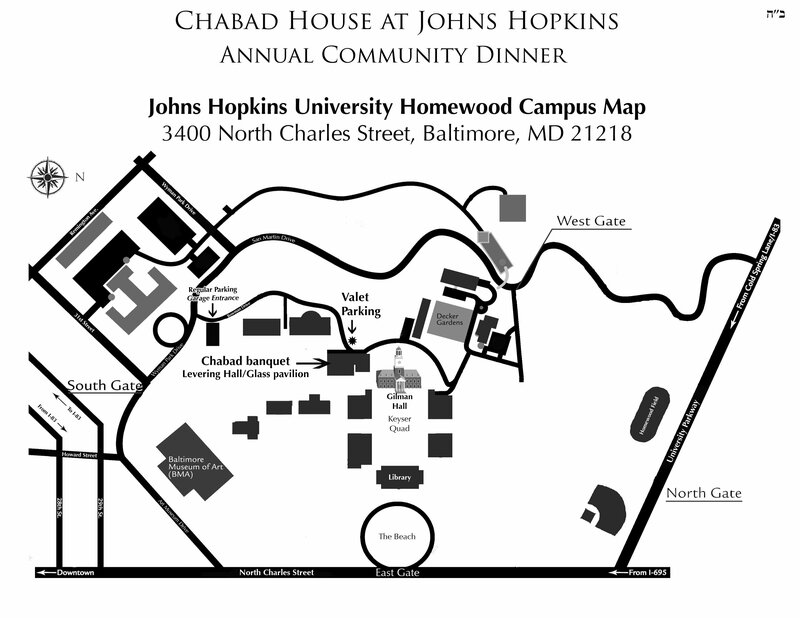 The Blumenfeld’s are proud to support the successful work and achievements of the Chabad House at Johns Hopkins, helping to ensure a strong and vibrant Jewish future. Dr. Brem’s research and clinical interests include Minimally Invasive Breast Biopsy as well as New Technologies for the Earlier Diagnosis of breast cancer, including Computer Aided Detection (a successful “Missiles to Medicine” Program), Molecular Imaging of the Breast for the Improved Diagnosis of Breast Cancer and Magnetic Resonance Imaging. She currently directs multi-institutional clinical trials evaluating novel approaches to improved diagnosis of breast cancer, and is the recipient of numerous honors and awards including Jewish Woman International’s Ten Women to Watch. She is an internationally recognized expert on Breast Cancer and is widely sought to speak on the subject nationally and internationally. Dr. Brem is the Director of the George Washington University Mobile Mammography program (Mammovan), a mobile van that brings mammography to underserved communities to optimize the care of all women. Dr. Brem has published extensively in topics related to breast cancer, especially in her areas of interest, which includes the latest technologies for the early diagnosis and treatment of breast cancer. She is also committed to mentoring students and residents, particularly women. Dr. Brem and her husband, Dr. Henry Brem, who is the Chairman of the Department of Neurosurgery at Johns Hopkins University, are the proud parents of three daughters. Andrea who is a lawyer and lives in DC with her husband, Ariel Wolf, a law student at Georgetown and the Legislative Aide for US Senator Sam Brownback and their daughter Eliana Sophia; Alisa, a graduate of Columbia University, who has a Masters from the London School of Economics and is currently a law student at George Washington, and who is an accomplished painter and Sarah, who along with her husband Joel Sunshine, are both second year medical students at Johns Hopkins. Sarah and Joel live in Pikesville, MD with their son, Noah Eitan. 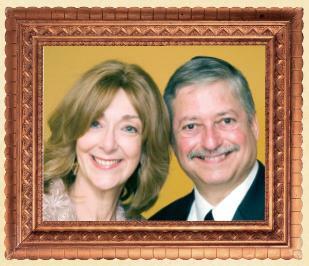 Henry and Rachel Brem are members of Beth Tfiloh Congregation. 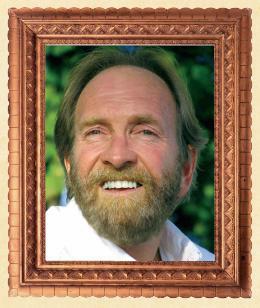 A native Minnesotan, Peter Agre studied chemistry at Augsburg College (B.A. 1970) and medicine at Johns Hopkins (M.D. 1974). He completed his residency at Case Western Reserve University in Cleveland and an Oncology Fellowship at the University of North Carolina at Chapel Hill. Agre joined the Johns Hopkins School of Medicine faculty in 1984 and rose to the rank of Professor of Biological Chemistry and Professor of Medicine. In 2005, Agre moved to the Duke University School of Medicine where he served as Vice Chancellor for Science and Technology and James B. Duke Professor of Cell Biology. Agre returned to Johns Hopkins in January 2008, where he is University Professor and Director of the Johns Hopkins Malaria Research Institute at the Bloomberg School of Public Health. In 2003, Agre shared the Nobel Prize in Chemistry for discovering aquaporins, a family of water channel proteins found throughout nature and is responsible for numerous physiological processes in humans and is implicated in multiple clinical disorders. Agre has received other honors including 15 honorary doctorates, Commandership in the Royal Norwegian Order of Merit from King Harald V, and the Distinguished Eagle Scout Award from the Boy Scouts of America. Agre is a member of the National Academy of Sciences and the Institute of Medicine for which he chaired and serves on the Committee on Human Rights. 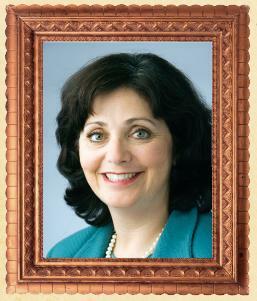 In February 2009, Agre became President of the American Association for the Advancement of Sciences. 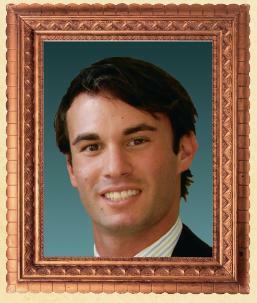 Founder and President of Turner Development Group Patrick Turner, a native of Miami, is founder and president of the Baltimore based Turner Development Group, and is managing member of Silo Point, LLC and Westport Development, LLC. The Turner Development Group specializes in undertaking difficult and unusual real-estate development projects. Through a creative approach to solving architectural and planning issues, the Turner team has transformed some very unique structures into exciting and innovative urban havens for residential and commercial use. Some of these conversions include, the transformation of the Vaudeville Theater into offices, a historic bowling alley into loft apartments, a historic hospital and school into luxury condominiums, a coffee warehouse into apartments, an industrial grain processing plant and elevator into an urban mixed-use complex, and the conversion of a major waterfront industrial complex into a six million square-foot mixed-use development. Mr. Turner attended Loyola College and served in the US Army I CORP in South Vietnam from 1969 to 1971. He and his wife Jeanine are the parents of Eric, who serves as vice-president of the company. Mr. Turner serves on the President’s Advisory Council of the Greater Baltimore Committee, on the Executive Committee of the Urban Land Institute and the National Brownfield Association, and on the Boards of Patriots of Fort McHenry and YMCA. He is also a member of the Baltimore City Transportation Investment Commission, the Downtown Partnership and the Center Club.